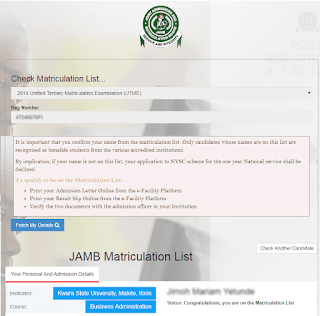 Welcome!, In this tutorial, I will show you how will be able to reprint Jamb change of course slip, if by one means or the other your where unable to get the first print out after you have made changes or misplace the first print out. 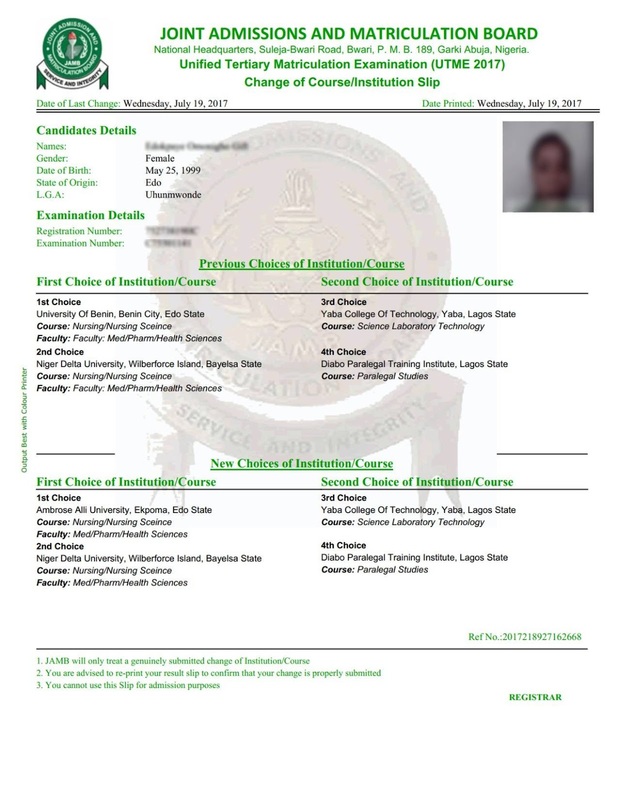 Software: PDF Reader to view the Change of Course Slip after downloading. Step 4. 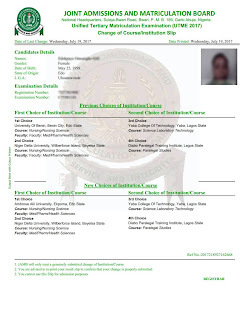 Click on Reprint Change of Course Slip.